We have the last Bank Holiday until Christmas coming up next week, so we thought it might be an idea to look into the history of Bank Holidays. We went off to all the usual places like Wikipedia and other historical websites. This is what we found out. Way back in 19th century, we had saints days and religious festivals, which totalled 33 days. Then in 1834 it was reduced to 4. These were May Day, All Saints Day, Good Friday and Christmas Day. It stayed that way until 1971 Sir John Lubbock, who was a Liberal politician and a banker introduced the Bank Holidays Act 1871. There was, however, a difference for Scotland, due to them celebrating New Years much more than the English. New Years Day was not actually a Bank Holiday in England until 1974! The table below shows the Bank Holidays we had back in 1871. Good Friday and Christmas Day were not part of the act for England and Wales, as they had been holidays since records began. It stayed that way for until 1965 when the August Bank Holiday was trialled at the end of the month. It must have been successful, as in 1971 a new act was introduced. 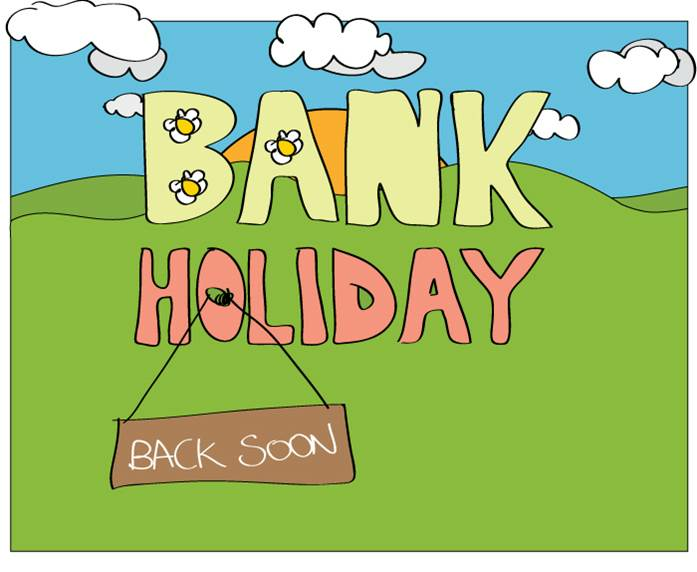 The Bank and Finacial Dealings Act 1971, this act still regulates bank holidays in the UK. The act moved the Whit Monday holiday to first Monday in May, and officially moved the August Holiday. May Day was not introduced until 1978. There have been a few changes and additions since then, such as the introduction of St. Andrews Day Bank Holiday, which was introduced in 2007.